Luleå College of Technology, 1976; Professor Krister Källström, senior lecturer Bo Ekmark and civil engineer Per-Olov Nilsson are working at the Department of Materials and Manufacturing Technology. With focus on press forming sheet metal, they dream of pushing development forwards. There are many ins and outs – they feel their way, they tear their hair, and they smile at every successful step forward, and finally they find a technique for the cost-effective manufacture of pressing tools. They understand that they are onto something really good and choose to go ahead. They decide to start their own business, and during the start-up phase they find a bankruptcy estate in Kalix, Hema industries. They saw an opportunity to buy the entire infrastructure, that is to say machines and products, which they did. The products included the tipping snow shovel Hema-tippen. Per-Olov resigns from Luleå College of Technology (LTH) and sets up Kalix Mekaniska Industrier, abbreviated KAMI, becoming its CEO, while Krister and Bo continue working at LTH to continue development. KAMI rents premises in Kalix and operations begin. The fact that the winter of 1976 saw heavy snowfall benefited the gentlemen, and KAMI got off to a flying start. The Hema-tipp sold like hot cakes, and already in year 1 they managed to end up in the black. In 1977, they decided to return to their basic idea and therefore carried on investing in the pressing technique. At LTH they had earlier created tools to make sheet metal façade modules, and they returned to this. By the end of -77 KAMI realise that the market for façade modules is limited and more sheet metal is used for roofing than for façades. Instead they try to find a smart roofing solution, and new development starts up at LTH. They managed to develop the pressing technique into stretch-pressing technique, and through that they create tile-like sheet metal in long sections. The stretch-pressing technique additionally gives the product extremely high strength. Similar developments are going on in New Zealand, but in their case the metal sheets are short. Again KAMI realise that they have arrived at something really good – they called the tile-like sheet metal PLEGEL and apply for patents in strategically selected countries. In 1978, production starts. KAMI decides to go it alone, but before long there are reactions. Mataki, which has understood the value of PLEGEL gets in touch and wants to market and sell the product in Sweden. They do an extremely good job: KAMI gets good coverage in both national and international media. PLEGEL is a sensation on the market. Shortly after that, KAMI catches the attention of the Japanese company Sumotomi, which has noted the media coverage. Sumotomi notes that “kami” is the Japanese for god and offers to be a licensed agent. They shake on it and Sumotomi gains the rights to be licensed agents on all non-European markets. The first licence holder is the Japanese company Kawasaki Steel, and KAMI provides them with machines, tools and know-how so that they can produce PLEGEL. Sumotomi then makes licences available to companies in Australia, Malaysia, South Africa, Venezuela and the USA. KAMI is travelling like an express train, but does not leave it at that. After several years of determined work and several experimental projects, KAMI manages to lift PLEGEL to even dizzier heights. In 1984, a further development came – TerraPLEGEL – which took the market by storm. Unlike its predecessor, TerraPLEGEL has a sand coated surface to resemble concrete tiles even more closely. 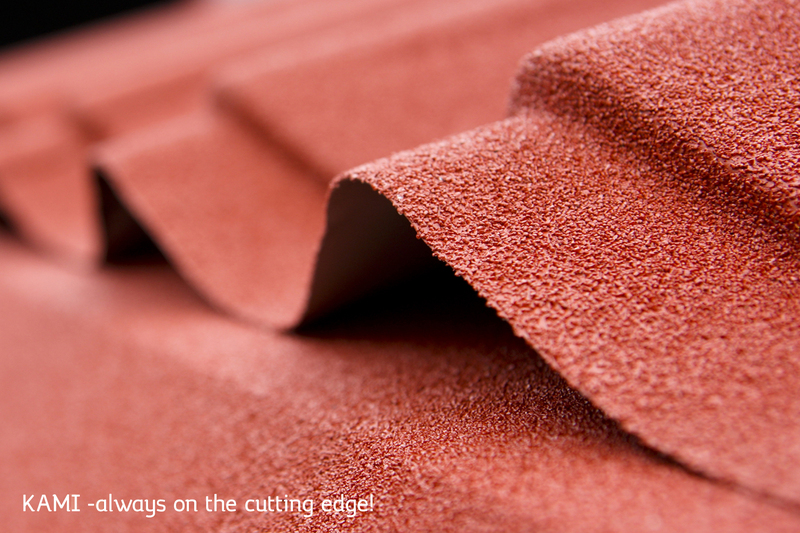 TerraPLEGEL is also coated after profiling and pressing, which covers the edges and gives a highly resilient coating. Ever since then, TerraPLEGEL has been KAMI’s most popular roof, and is found today on top of everything from Swedish homes to luxury hotels and residences worldwide. In 1992, KAMI PlusPLEGEL was introduced on the market. Like TerraPLEGEL, it is coated after profiling and pressing but has no sand coating. It has the same advantages, with coated edges and a highly resilient coat but a smoother, somewhat structured surface. Product development in close cooperation with contractors continues. The colour system is improved and the products are given even better coatings with increased durability and improved scratch resistance. In the 21st century, KAMI AB is owned by Lafarge, later Monier. The period is highly export driven, with deliveries to among other countries Russia, Cuba, Nigeria, Japan and the UK. There is high presence in many parts of the world and the products are in big demand. The coating technology is further developed, achieving better control of the coat thickness, and reduced environmental impact. An electrostatic painting technology replaces conventional techniques, with consequently improved edge covering and reduced environmental impact. Separate coating lines for accessories are installed and further improve product quality. In 2008, the financial crisis hit, and in 2009 KAMI was sold to EcoVenture AB. Now once more, KAMI AB is privately owned. The focus is no longer on exports, but again turned to the home market and the Nordic countries. A team of sales representatives is enlisted and much of the organisation is reoriented. Deficit is turned to surplus, market shares again increase in the Nordic countries, and investments are made in a production line for trapezoid profiling. That is the status to date, and KAMI faces a bright future. To this day, KAMI is alone in the world in producing sand coated sheet metal in lengths of up to 6.5 metres. The products have the same appearance and shape today as in the 80s, but over the years have been through a number of developmental stages that together with the stretch pressing technology gives the product its excellent strength and durability. With continuity as our watchword, we feel that roofs should be long-lasting and that it should be possible to complement an existing roof when necessary. You can do this with our tile profiled sheet metal roofing which has been on the market for decades. TerraPLEGEL is introduced on the market. KAMI begins cooperation with a Spanish manufacturer of mobile homes, delivering TerraPLEGEL. The mobile homes are then sold all over Europe. The product range is increased with PlusPLEGEL, which is a further development of TerraPLEGEL. The Russian government is building housing estates for its employees. The homes are to be crowned with the best roof on the market, and KAMI is commissioned to deliver and install TerraPLEGEL on them. In connection with Yeltsin’s rise to power in 1993, the White House in Moscow comes under fire. Renovation begins, and KAMI, which has previously supplied roofing to the Russian government, is again entrusted. TerraPLEGEL is placed on the annexe adjacent to the White House. KAMI begins cooperation with the construction company Bouygues Construction. With its headquarters in France, and customers worldwide, Bouygues Construction becomes one of KAMI’s most important customers. They use TerraPLEGEL in a large number of their major projects, among other things a series of five luxury hotels in Cuba. KAMI AB is acquired by Lafarge Tekkin, later Lafarge Roofing. New coating line for accessories is installed and electrostatic painting technology is introduced. KAMI AB starts up KAMI Ltd in the UK.